All this running means I’m falling a bit behind with Ladybird Tuesday – huge apologies for that! This week though we have one of my absolute favourite books to share with you, and one which only came into my collection a few days ago. Helping at Home. 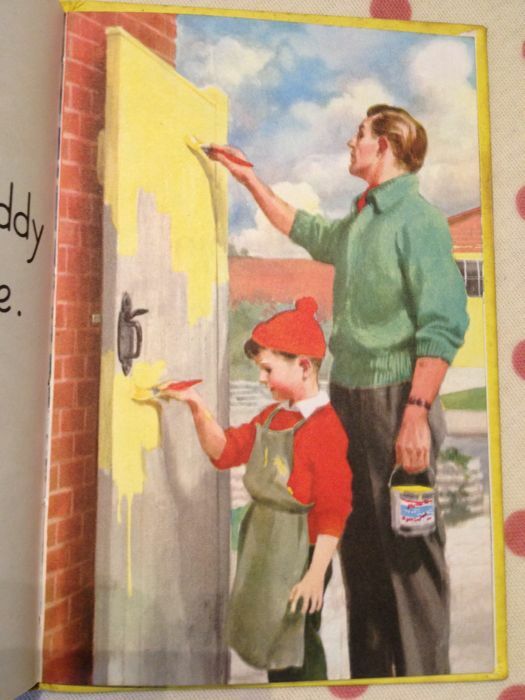 Now, most of my Ladybird books are picked up in charity shops or at car boot sales, but sometimes there’s one that I’m so keen to get my hands on that I’ll actually go searching for it on that well known internet auction site – and that’s exactly what happened with Helping at Home. 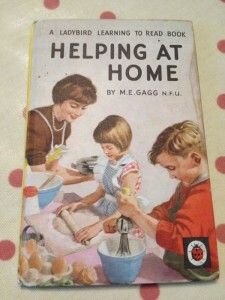 Originally published in the Learning to Read series (series 563) Helping at Home has a special vintage magic to it simply because it provides such a lovely insight into family life in the early 1960s. 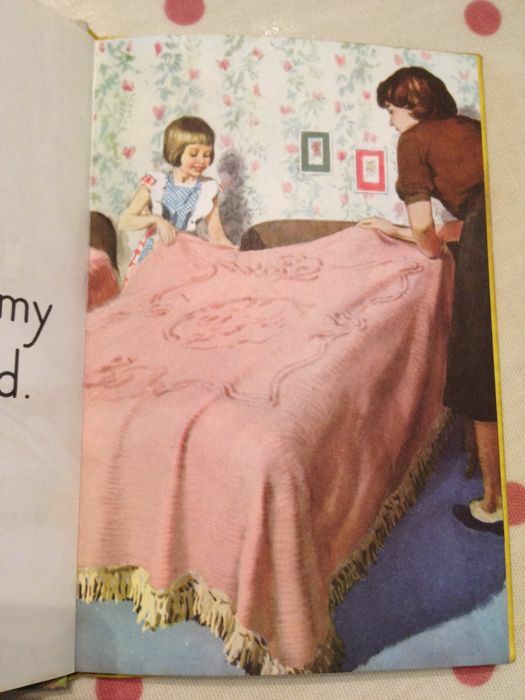 Being completely fascinated in the 1950s in particular (and Helping at Home just being published in 1961) I found myself staring for ages at all the illustrations in this book, trying to take in all the minute detail of their homes. The accompanying text explains all the things that the children are helping their parents to do around the house and garden. 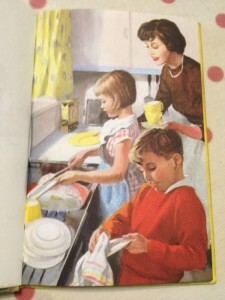 As with the Ladybird Keyword Reading Scheme books the text tries to feature repeated words and also works in conjunction with the pictures to help children work out what all the words are. What I think I’m somewhat in awe of is just how much these children do around the house to help their parents. 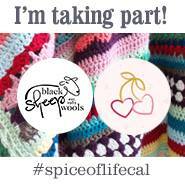 Maybe I just need to try harder with mine, or make housework into more of a game or activity for them, as at the moment housework and jobs like these featured end up being things I have to do when I either get a moment’s peace or once they’ve gone to bed! 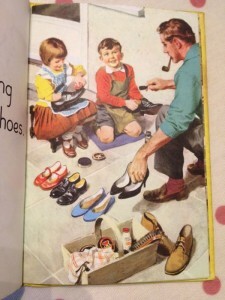 As with so many Ladybird books from this period, the male-female role split is very clear. All the jobs at home like making the bed, dusting, cooking, washing up are done my mummy, whilst outside jobs like mending the fence and digging potatoes become daddy’s role. Even shoe cleaning is led by Daddy, pipe in mouth. A role which I can always remember being my father’s when I was a child. It’s definitely the case that things would be much more mixed up if this book were to be written today! 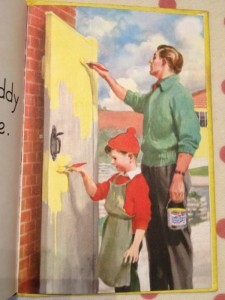 This era of Ladybird books really had to be my favourite and Helping at Home is a perfect example of “Ladybird Land” at its finest. I know so much has moved on since then, especially in terms of equality, but there’s still part of me that I would love to be able to go and live in Ladybird Land, even if only for a day or two. Tell me I’m not the only one! I would love to see an updated version of this book, although I would be quite happy of Roo or Tigger offered to help around the home doing any of the jobs. It’s nice to see the little boy helping out in the kitchen I think. It’s amazing how well you can remember things from childhood isn’t it?